In the world of investment returns there is specific lingo that sometimes applies to the calculation of returns. Terms are used to describe the nature and type of return; for example annualized return real rate of return and compounded return are all important concepts in the accurate calculation of total return. Some terms sound similar, but mean different things such as yield and return. Understanding the meaning of the variable input is useful in making sense of the total return calculation. For mutual fund calculations, the Net Asset Value (NAV) is important because it changes over time, thus a beginning and end NAV are required. In addition to NAV, dividends, expenses, compounding and inflation may or may not be factored into the total return equation. Once all the proper terms have been sifted and sorted, the next step is to use a formula in calculating the total return. Calculating the total return of can be performed between partial and complete accuracy, meaning there are different formulas for calculating total return depending on how complex and accurate the variables and the formula they are used in are. For example, the methods below, as sourced from stock-market-investors.com, illustrate two simple methods of calculating total return followed by more elaborate equations that include additional variables. Since some investment accounts also accrue interest, an additional variable of compounded interest may be used with adjustments in the time value of money using an inflation variable. For some return calculations, specifically the simpler ones, online financial calculators may be of use. To adjust the compounding to be calculated monthly divide the ACR exponent i.e. annualized percentage rate value by the number of months. Since inflation reduces the value of money, the annual inflation rate can be subtracted from the total return to obtain the real total return of the mutual fund. For monthly inflation deductions the inflation rate that is subtracted is divided by the number of months used in the ACR. Total return on Mutual funds varies on how the return is calculated, and the variables and numbers used. This article has illustrated terminology and formulas used in the calculation of total return for mutual funds. Sometimes financial calculators may be helpful in arriving at a final value however, understanding the quantitative terminology in Mutual Fund total return calculations is helpful in properly utilizing the correct equation. 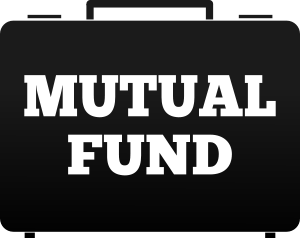 Depending on which formula is used, the cost basis adjustment, compounding and inflation if any, the total return may differ from that quoted by the Mutual fund itself.